Tonight’s premiere will be a jam-packed two-hour event that deals, first and foremost, with the fallout of Benedict Arnold’s betrayal at West Point (the subject of Season 3’s dramatic finale). Like all the episodes before it, the premiere is sure to generate plenty of dubious historical claims to assess, dates to plot on the historical timeline, and questions to ask your friendly neighborhood historian(s). I’ll be live-tweeting tonight’s premiere, along with a whole bunch of die-hard fans as well as cast members. Follow @spycurious and the hashtag #TURNamc! 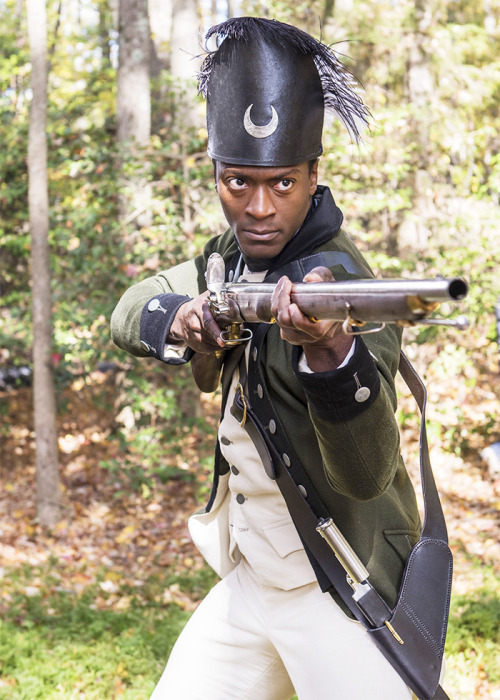 If you didn’t have ten hours to devote to re-watching Season 3 of TURN, I’d recommend browsing through the library of individual episode reviews at Den of Geek, written by the always-thorough J. L. Bell of Boston 1775 fame. 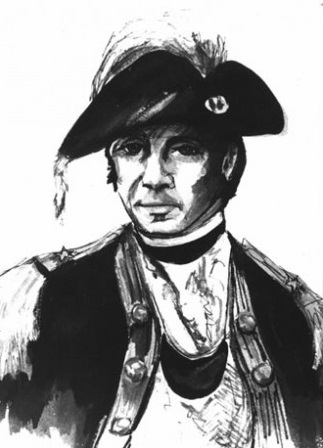 USA Today also has a short article about the Season 4 premiere, which (unintentionally) underscores TURN’s gravely inaccurate portrayal of John Graves Simcoe by describing him as “a sociopath with a talent for military strategy who has a personal ax to grind with several of those rebel spies.” As we’ve discussed here in great detail over the past three years, Simcoe is, hands-down, one of the most completely inaccurate and misrepresented historical figures in the entire show. 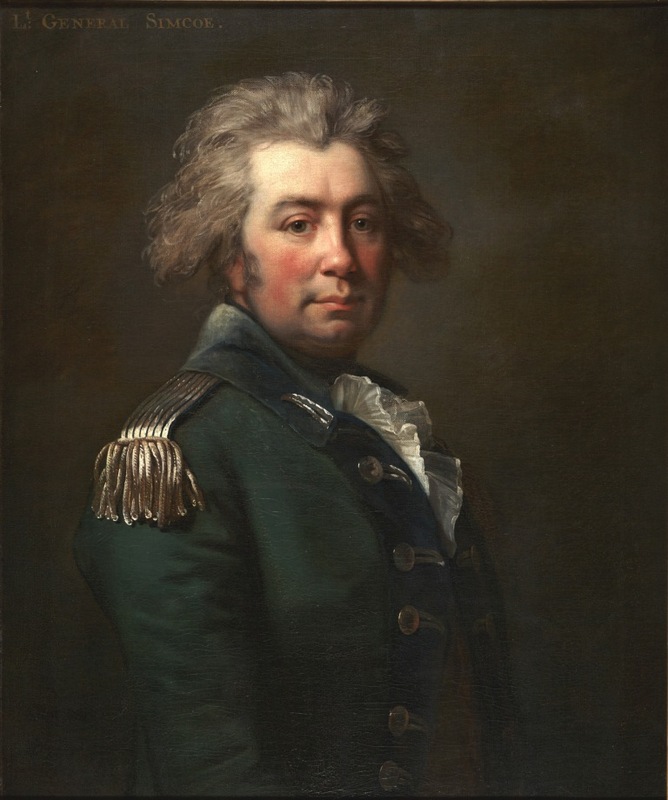 The real John Graves Simcoe, while a fearsome officer in battle, was nothing like the unhinged brute viewers see when they tune into TURN. 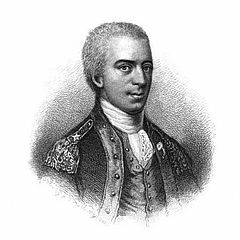 In addition to our backlog of blog entries here, T. Cole Jones, professor of history at Purdue University, goes into even greater detail about TURN’s misrepresentation of Simcoe in this Common-place Journal article from 2015 which is a must-read for any fan interested in the accuracy of both TURN and the book that inspired it. Ross Nedervelt at FIU is the latest history academic to pen a review of TURN: Washington’s Spies, this time at the British Society for Eighteenth-Century Studies. 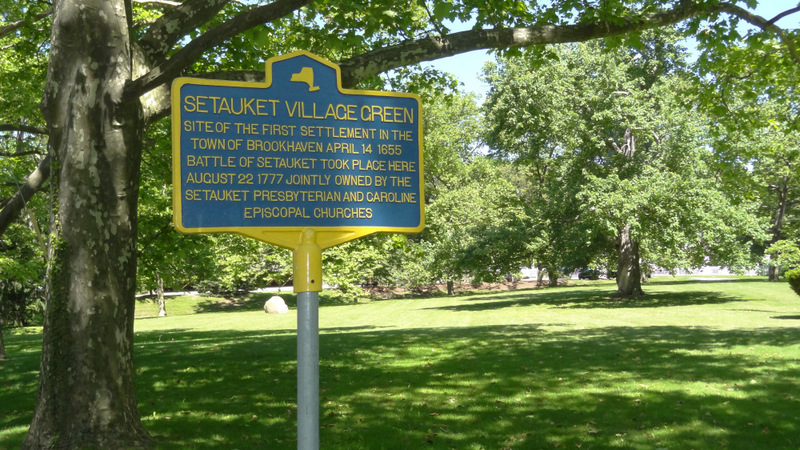 While he is more charitable than most other historians have been towards the show, he does point out a number of pet peeves that we share here at the blog (e.g. glaring biographical inaccuracies, the depiction of Simcoe as a psychopath, Caleb Brewster’s anachronistic speech patterns, etc.). The upside is that the showrunners had long known that Season 4 would be TURN’s final season, so they were able to craft the entire season without worrying about potential numbers and ratings at all. At the same time, they’ve got quite a lot of ground to cover in a mere ten episodes. As a native Connectican with a professional interest in Connecticut history, imagine my excitement when on-set photos leaked of Owain Yeoman appearing to invade and burn a colonial city with a regiment of British regulars! Alas, according to this in-depth interview with showrunner Craig Silverstein at Entertainment Weekly, the photos likely depicted Arnold’s raid on Richmond, Virginia… not the Connecticut coast. (sigh.) Regardless of my parochial disappointment, the EW interview with Silverstein is incredibly thorough and well worth the read for any TURN fan eager to catch a glimpse of what Season 4 might contain. How about that slick Season 4 artwork, TURNcoats? Have to admit – I’m a huge fan. (MUCH better than the bizarre, anachronistic, politically-driven marketing campaign of Season 3, which awkwardly tried to compare George Washington’s political views to those of Hilary Clinton, Donald Trump, and Bernie Sanders, and produced many a cringe-worthy gif. Remember that?) If year-over-year improvement is any indication, this season’s graphic artist should get a raise. 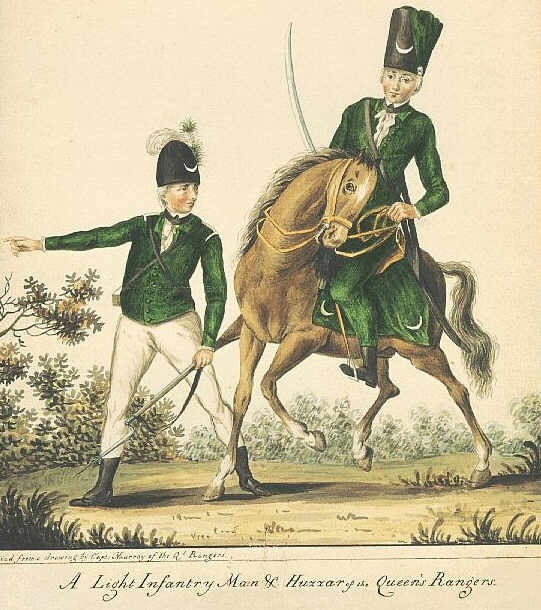 Finally, if you’re new to the TURN to a Historian blog: Welcome! Our Topic Index page is a great place to get started in regards to browsing all the historical topics we’ve covered on this blog thus far. If you have a specific question, fire away on the Ask a Question page. In the meantime, pull up a chair and enjoy the two-hour premiere. See you on the flip side! This entry was posted in Uncategorized and tagged amcturn, benedict arnold, historical accuracy, John Graves Simcoe, new london, premiere, season 4, Site updates, turnamc. 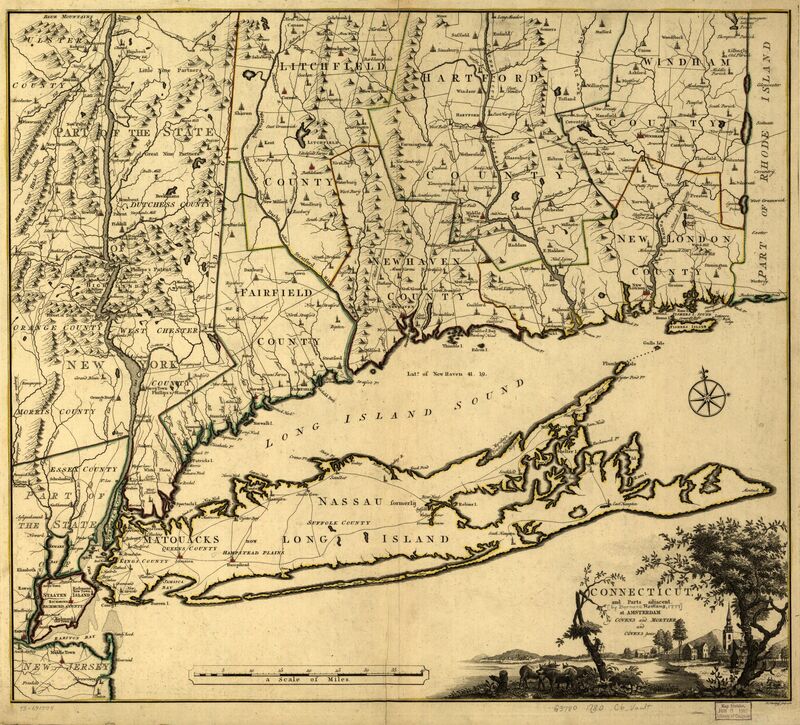 Greetings, TURNcoats – and Happy Patriots Day! 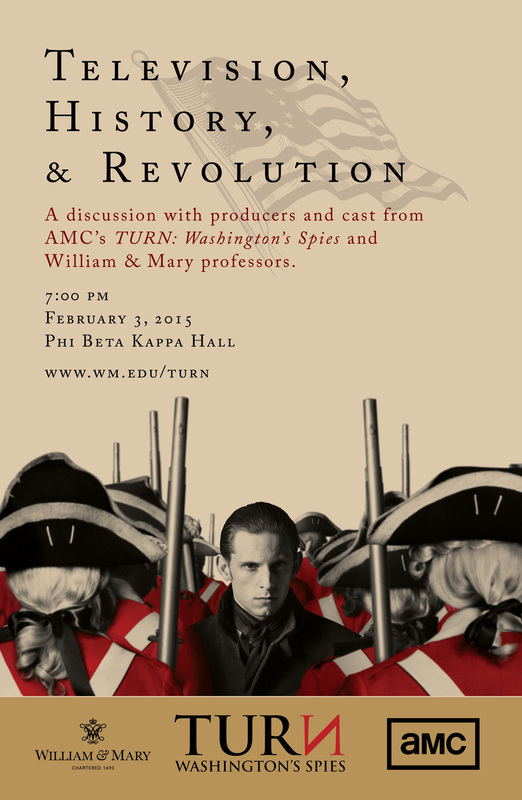 Still recovering from the highly-anticipated 2-hour premiere of TURN: Washington’s Spies last week? So are we! The Season 2 premiere – which was technically two separate episodes played back-to-back – covered an awful lot of historical ground. 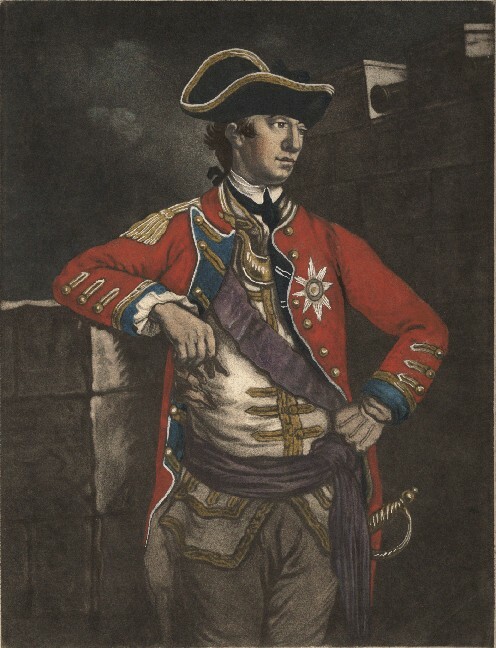 The show’s timeline has leaped ahead several months to the fall of 1777, and viewers quickly learn that several major events of the Revolutionary War have already passed them by, including the Battle (technically, “Battles” plural) of Saratoga and the start of the British occupation of Philadelphia. And most Americans have at least heard of how King George III went “mad” later in life – but was he really starting to lose his marbles in 1777? To help clear things up, we’ve updated the Historical Timeline feature with several events that will be especially interesting to TURN fans trying to sort out the events referenced in the Season 2 premiere. You can view the full-size Timeline by clicking on it below, but I recommend visiting the full Timeline page for even more useful information – including informative links! 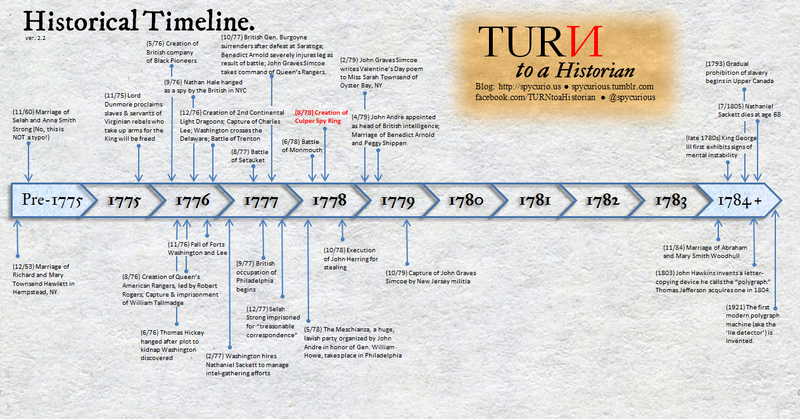 TURN Historical Timeline version 2.0. Click graphic to enlarge, or click the “Timeline” tab at the top of the page for more information! For a limited time (of course) you can watch the Season 2 premiere of TURN on AMC.com for free with no cable subscriber login required. Better hurry — as of this posting, the free premiere (technically Episodes 1 and 2 of the second season aired together) is only available for 9 more days! 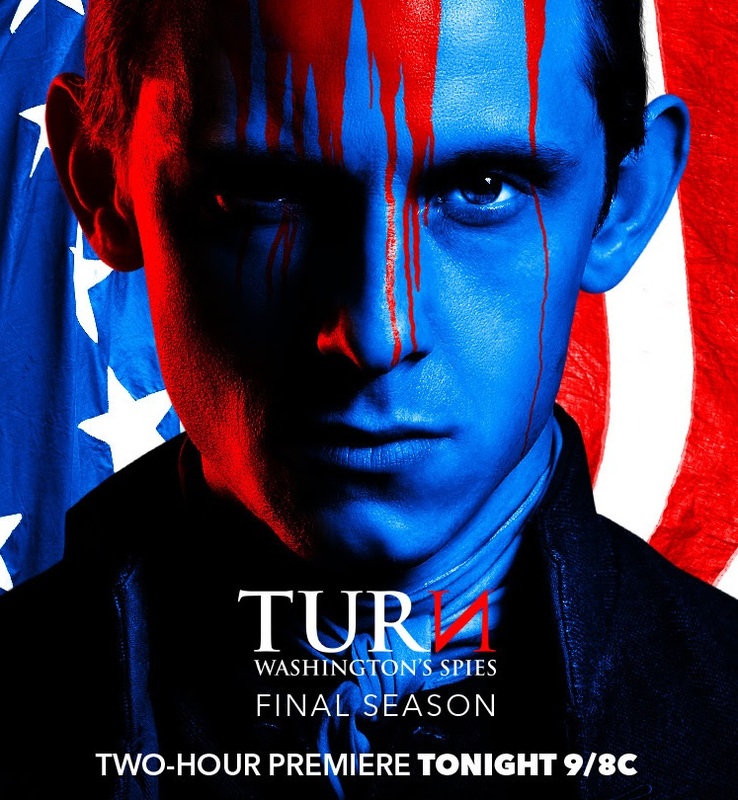 No doubt about it: TURN: Washington’s Spies has captured quite a lot of people’s attention. The heavily-promoted season premiere garnered its fair share of reviews, which range from excited and positive (IGN) to cautiously optimistic (AV Club and Wall Street Journal, who wins the ‘Best Review Title’ award) to unimpressed (Variety). Most reviewers have noted that AMC dramas have a habit of starting off very slowly, only to conclude with riveting, fast-paced drama at the end of each season – which was certainly true of Season 1 of TURN. My favorite review, however, was written by a fellow Early American historian (shocking, I know). More specifically, written by J. L. Bell, a prolific historian of Revolutionary Boston who also covered Season 1 of TURN at Den of Geek. “…The differences between Turn’s king and the real George III, Turn’s sculptress and the real Patience Wright, are significant. Despite its producers’ claims to remaining true to the past, the series veered away from the historical record immediately and continues to follow its own path. In short: when following the historical record is option, there’s no way for a historian to tell. For example, producer Craig Silverstein has said in several interviews that he originally planned on killing off Simcoe in the circa-1776 pilot episode. You’d never find that in any history book, because it never happened. I couldn’t agree more! I’ve often referred to TURN as “alternate universe” myself on this blog. Frankly, this kind of attitude is standard operating procedure for most period dramas. In most cases even the most nitpicky fact-checkers understand the need to bend the truth in order to tell a compelling narrative – as long as it’s acknowledged to be fiction! It’s a shame that the writers and producers of TURN continue to adamantly promote their show as “a true story” and try to claim the mantle of authenticity and “historical truth” when an abundance of evidence (most of it basic, Google-able facts) handily proves otherwise. If only they’d embrace the fact-bending nature of their historical fiction, they’d get a lot more love from history-loving viewers who are hungry for excellent period dramas but cringe at the misrepresentation of the Revolutionary War on TV. Thankfully, there’s still plenty of time for that, since Season 2 is just getting started. And there have already been some notable improvements in historical accuracy – including, as you can see in the Timeline above, more 1777 events actually happening in the show’s version of 1777. Chief among the material culture improvements are Simcoe’s transition to a green-coated Loyalist uniform and Robert Rogers’ freshly-shaven visage. Let’s hope the momentum continues as Season 2 gathers steam! Oh, and for you social media-savvy folks: Don’t forget to join us on Twitter during tomorrow night’s new episode! I’m live-tweeting at @spycurious and the hashtag to follow is #TURNamc. It’s always a rollicking good time! 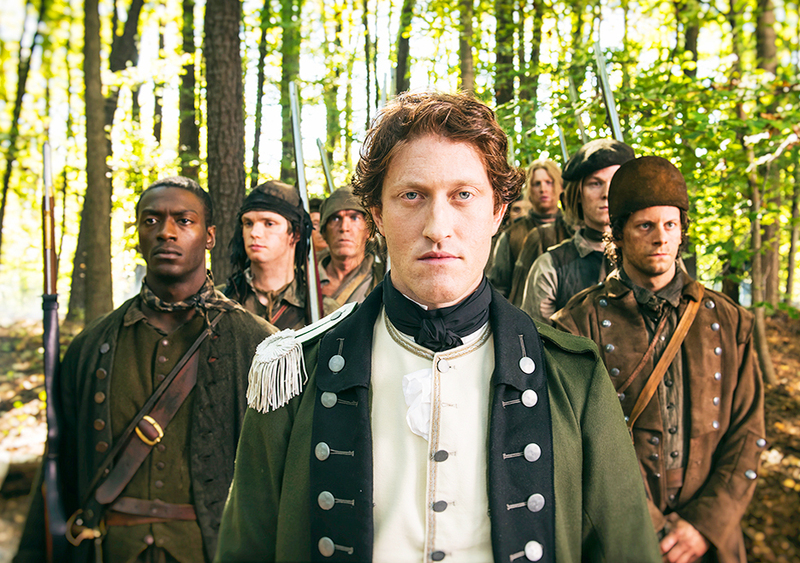 This entry was posted in First Impressions, Site updates, TURN news, Uncategorized and tagged alternate history, historical accuracy, j. l. bell, John Graves Simcoe, King George III, robert rogers, S2E01, S2E02, timeline, TURN, turn amc, turn reviews, TURN season 2, TURN: Washington's Spies, washington's spies.